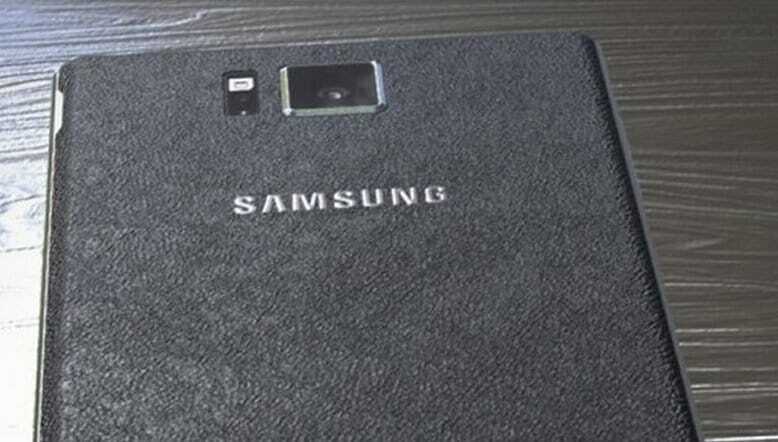 Samsung Galaxy Note 4 leaked images and release date is confirmed in our previous post. Now it is time to learn deeper insights regarding the complete concept behind Samsung Galaxy Note 4. The specifications of Samsung Galaxy Note 4 is outlined below. The concept behind Note 4, is the relation which humans had with the Joy of writing. Writing has been the part of our daily life and it has given confidence within us, made us life more easy and simple. Its time to change, re innovate the joy of writing and take our relation with writing to another Stage. Note 4, unveils the joy of writing with its reinvented S-Pen (Magnetic resonance induction is the concept how S-Pen works), it is a Small MRI in your hand. Samsung Galaxy Note 4 comes with 5.7inch size, 2K screen, a Retina scanner and a UV sensor, and come in a premium metal version with a flexible screen. An Ultrasonic cover will also be available to aid the visually impaired. It is been released in September. Read more to know more about about IFA 2014, Note 4 release in Berlin. Previous versions of the Galaxy Note have been released in and around September and it looks like the Galaxy Note 4 will be no different. Indeed, industry insiders have suggested the Note 4 will be unveiled at a pre-IFA 2014 Samsung Unpacked event on 3 September and now invitations have been sent out (see above) with the massive hint ‘note the date’. Read more about the release of Note 4 on September at IFA 2014. 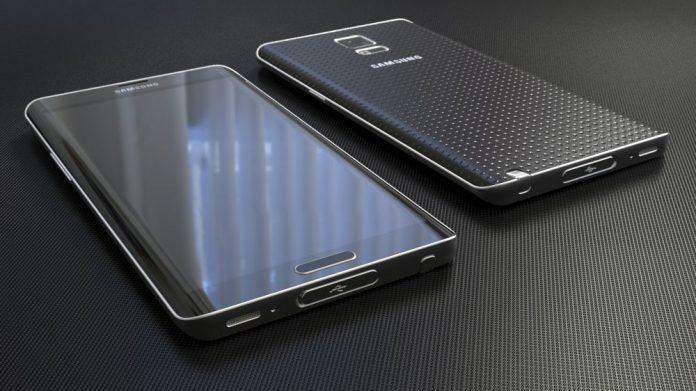 The price of the Samsung Galaxy Note 4 is predicted to be between £550 and £600 – similar to the Galaxy S5. There’s no leaked information on the Galaxy Note 4 yet and that’s not too surprising since we’re a few months away from its expected launch. The Galaxy Note 4 come with a deliberately big size of 5.7 inch screen that comes with 2K resolution. The Galaxy Note 4 was expected to continue that trend with a bigger screen – perhaps 5.7in or even 6inch, matching the LG G Flex. However the Leaked information, while Note 4 is being shipped, was reported that Samsung Galaxy Note 4 comes with the 5.7 inch IPS display screen with a 2K resolution. 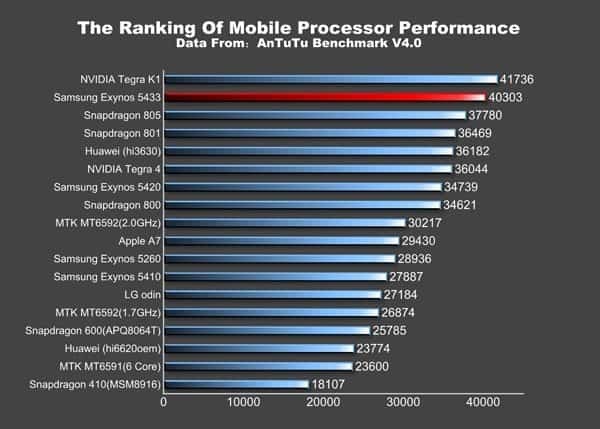 Under the hood, the Galaxy Note 4 will supposedly wield the recently announced Qualcomm Snapdragon 805 processor. That’s a quad-core Krait 450 chip which can be clocked up to 2.7GHz and has an Andreno 420 GPU. Note 4, as per the eraphone leak suggests a 16Mp (3456 x 4608 pixels) rear camera with optical image stabilization, autofocus and a dual-LED flash. It will be able to shoot video in up to 4K resolution (2160p@30fps). Note 4 comes in three storage capacities: 16-, 32- and 64GB along with a whopping 4GB of RAM. The phone will also have a microSD card slot capable of accepting up to 128GB. Like the Galaxy S5, the Galaxy Note 4 is thought to be coming with a dust- and waterproof design. On 14 July Samsung itself gave away a clue that the Note 4 could have a Retina scanner. Its @SamsungExynos account tweeted “Security can be improved using features unique to us. That’s what we envision. 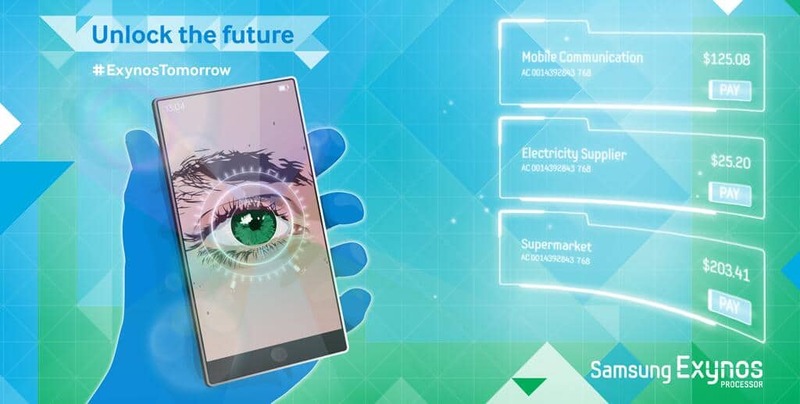 What would you use?” along with a picture of what looks very much like a Note phablet with an eye and the words ‘Unlock the future’. Sammobile reports that one of the official accessories will be an ultrasonic cover, targeted toward those with vision impairments. According to the site’s source, it will detect nearby objects (you can alter the range) and provide appropriate feedback. It will not detect drop-offs, however, and should be used as well as rather than instead of a cane, dog guide or human guide. Galaxy Note 4 will also feature a UV sensor. Part of the S Health system, it will warn users if they are getting too much sun. “The sensor will be used to measure the sun’s ultraviolet (UV) radiation and prevent users from damaging their skin, ageing it prematurely, and increasing their risk of skin cancer by giving recommended guidance based on the current UV index level at that particular place and time. “There are a total of 5 UV index levels: Low, Moderate, High, Very High and Extreme, and users will be presented with different precautions based on the level of the sun’s ultraviolet radiation,” it continues.